Lovely and comfortable shirt dress from KAFFE! 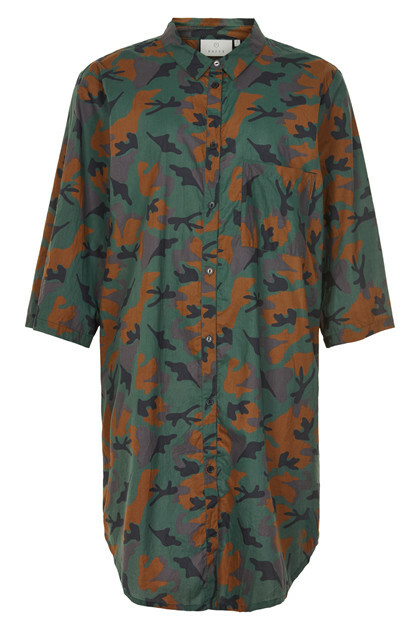 The dress has a trendy expression with its camo look. The dress is loose fit, is buttoned and with wide ¾ sleeves with cuff option. The dress has a rounded edge at the bottom with a slightly longer back-piece in length, and the quality is very comfortable to wear. It's definitely a long shirt that quickly becomes the favorite choice.